Now’s the time to start thinking about upgrading. 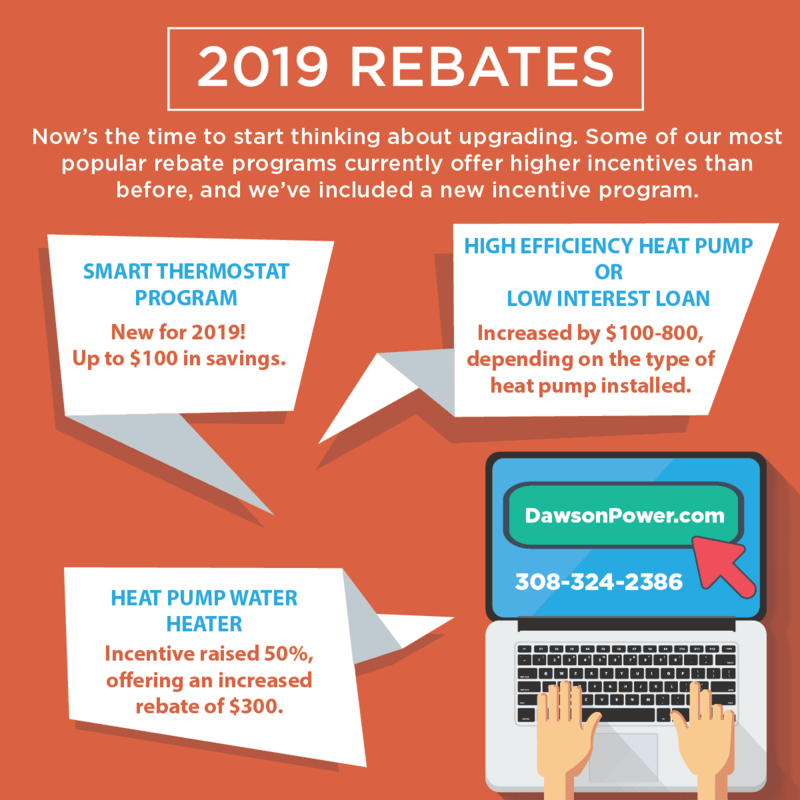 Some of our most popular rebate programs currently offer higher incentives than before, and we’ve included a new incentive program. New for 2019! Most Nebraska homes use around half of their energy for heating and cooling. Control your home’s temperature from anywhere with a smart thermostat. Customers who primarily use electric heat qualify for a $75 rebate. Fossil-fuel heating customers will receive $25. An additional $25 rebate is available to customers who hire a professional to install the thermostat. The rebate has increased by $100-800, depending on the type of heat pump you install and its efficiency rating. For this incentive, we give you two options — choose the one that best suits your situation. The air source heat pump water heater incentive was raised 50 percent, offering an increased rebate of $300.